Let TWO FRIENDS FLORIST Help You Create Beautiful Memories! We’re a local Lincoln, Alabama florist with a lovely variety of fresh flowers, plants and unique gift items for all ages and occasions. We hope you enjoy your online shopping experience with secure 24-hour ordering at your fingertips. If you prefer, call us to place orders direct at (205) 763-3015. After hours, please call 256-493-4909. Whether your Wedding, Party or Event is formal or casual… a small gathering or the social event of the year, the talented design staff at Two Friends Florist can handle all the flower arrangements and on-site decorating. Call to schedule a consultation, so we can help you start planning your dream wedding or other special occasion! Remember, you can also depend on our courteous and knowledgeable staff to help you choose Sympathy & Funeral Flowers for a friend or loved one. We will promptly deliver an arrangement that beautifully conveys your feelings of sympathy and serves as a lovely tribute to the deceased. 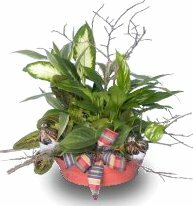 Gift Ideas for Any Occasion ~ Browse our variety of Dish Gardens and Green & Blooming Plants for gifts that bring life to any room or office. We create Gift Baskets and Fruit & Gourmet Baskets, as well as offering a nice selection of Gift Items...SEE OUR GIFT BASKETS PAGE TO ORDER! Thank you for visiting our website with flowers delivered fresh from your local Lincoln, AL flower shop and convenient online ordering 24 hrs a day!